Find-A-Mover Directory: This directory allows consumers to find professional movers in their area. It puts a mover's brand up front to potential consumers. Movers-Only Discounts: The industry's top suppliers offer special discounts to PMAF members. Educational Resources, Forms, and Manuals: PMAF members stay up-to-date on industry laws and regulations as well as have access to forms such as Bill of Lading and Estimated Cost of Service. Legal Hotline: Florida's top moving company attorney offers free assistance regarding contract reviews, tariff compliance, and dispute resolutions. Member Communications: PMAF members stay informed of association activities and receive the latest industry information. Networking: Fellow movers share best practices, tips, and advice. Use of PMAF Logo: PMAF members can display the logo on their business forms, trucks, and other places, so consumers know they are a professional mover. I'm a member because PMAF provides education, the opportunity to network and share experiences with fellow members, and manages industry-related legislation, giving me the ability to positively impact the industry I love in the state I love. Being part of PMAF gives my company and I the opportunity to grow and educate not just our staff but our customers as well as stay in tune with current legislation and the issues that affect us and the way we do business. 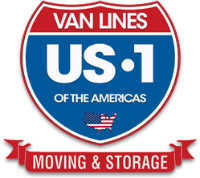 Jake Parks, Coastal Van Lines, Inc.
Click here to read more mover testimonials.